Think about the last time that you tried to puree tomatoes by hand. It takes forever, right? When I say this Spremy Electric Tomato Strainer is a must-have item, it truly is! What would previously take you hours will take you mere minutes! What if I told you this appliance helped you spend more time outdoors in the garden, doing what you love best rather than sitting inside and cooking, stirring and sweating the day away? Good news, it does! 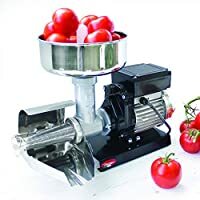 Why buy the Spremy Electric Tomato Strainer? 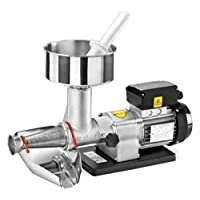 OMRA Electric Tomato Strainer 1/4 HP Model 850 Not only does this Electric Tomato Strainer do a great job at separating the skin and the seeds from the tomato, but it does it with ease as well. 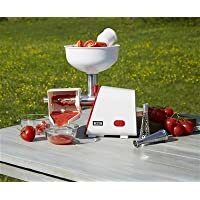 No more worry about having to peel the skins off the tomatoes when you have this electric tomato strainer in your corner. Have an abundance of tomatoes coming out your ears from your garden? Rest assured that this electric tomato strainer can handle the job. 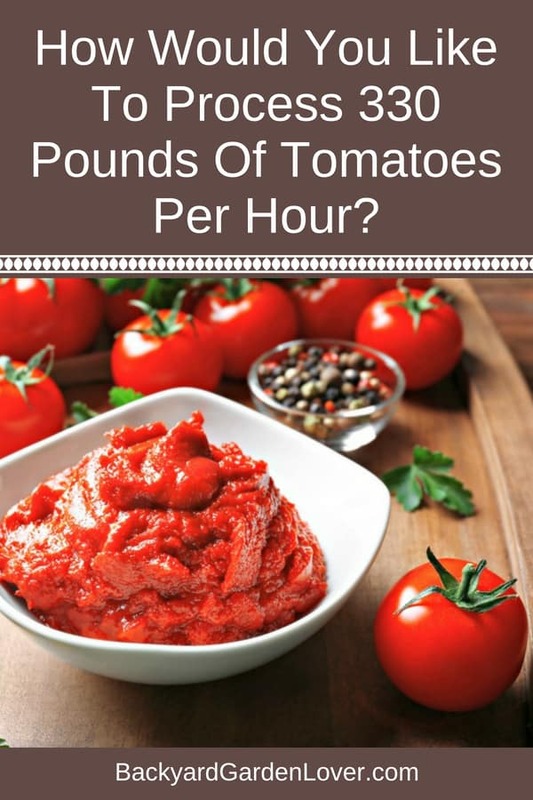 It’s capable of straining up to 330 pounds of tomatoes each and every hour! The inside drum is made of stainless steel as well which makes it super easy to clean up and prep for your next use. 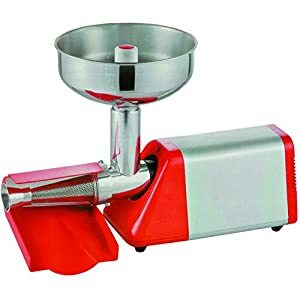 All you’ll need to do is wash the tomatoes, make certain there aren’t any stems or leaves attached and follow the directions of the Spremy Electric Tomato Strainer. It’s literally as easy as that. It might sound strange to use an electric tomato strainer to make jelly or marmalade, but it’s possible. It will remove skin and seeds from your fruit a lot easier than you can do it through a regular strainer. You can also make fruit leather: run your fruit through the electric strainer, roll it out on a dehydrator tray, and in about a day you’ll have freshly made fruit leather. If you like backpacking, make some tomato sauce leather, or even some salsa leather: it will come in handy to give some flavor to your camp cooking, or just eat as it for a burst of energy. Of course, you can make tomato sauces and soup. It’s also a nice size: it doesn’t take up too much counter space and weighs less than 12 pounds, making it easy to pick up and store when not in use. What do customers say about the Spremy Electric Tomato Strainer? Over 80% of purchases agree that this electric tomato strainer is top notch, giving it 5/5 stars on Amazon. The ease of use and clean up are among the top reasons why this strainer is a fan favorite. Others love the fact that it cuts their cooking time down dramatically by being able to use it to speed up the process that took them hours before. Many also feel that it is a sturdy and well-crafted appliance that they are extremely satisfied with. If you’ve been on the fence about whether or not to purchase this tomato strainer, the reviews and results undeniably show it’s worth the price and provides a great value. Anything that can help shorten the time spent on preparing and cooking seems like an automatic win in my book. Why not give it a try to help with all the garden fresh tomatoes that are growing like crazy? 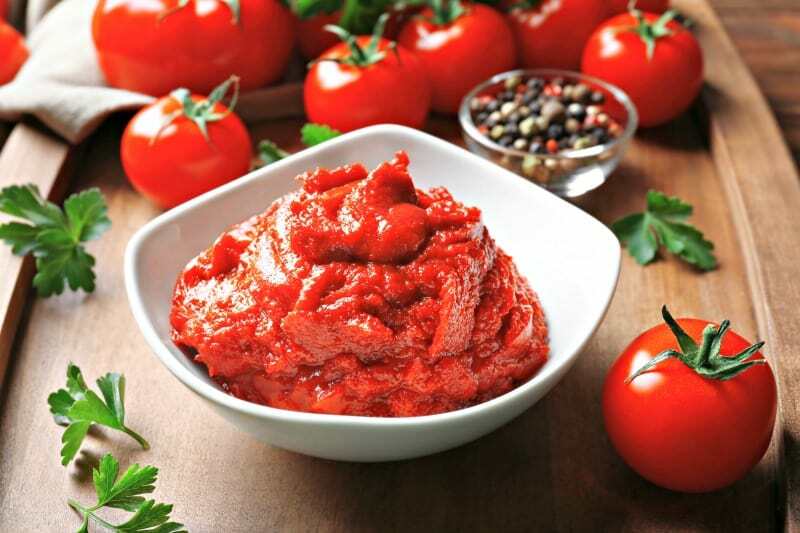 Use this tomato strainer to help puree and process more tomatoes. You’ll have lot of tomato goodness stored and ready for when winter arrives! You’ll have fresh tomatoes taste available all year long!